Abstract: With a large and diverse supply, it is a common problem to find and surface the relevant supply to demand in various marketplaces. In e-commerce, the inventory has many more products than the total number of customers and surfacing relevant and tailored products to each customer taste is a challenging problem. In matching markets like recruiting, both sides in the marketplace has a taste and both sides need to agree that they are a good match to each other. Recommender systems try to address both problems. In the commodity markets, they try to enable customers to discover products that are relevant and personal so that users would have a better experience in the website and purchase more products by discovering them. In matching markets, both sides would find a mutual agreement efficiently without going through each candidate that are in the marketplace. More broadly, recommender systems search large volume of content that is available in the system and tailor only a selected number of items/products to the user. In order to do so, one needs to know which items that are relevant to user not only looking at the products but also how users are interacting with products. This creates a need for feedback mechanism to incorporate various user actions to rank the products. In this talk, I will be talking about different types of architectures and machine learning methods for recommender systems such as collaborative filtering(user and item based) as well as content based. Finally, I will be combining both approaches to bo show how to build a hybrid recommender system that incorporate both content similarity and collaborative filtering approaches using Scikit-Learn and Tensorflow. 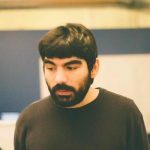 Bio: Bugra is a Senior Machine Learning Engineer at Jet where he works on recommender systems and try to connect best products to our customers. He previously worked on Hinge in recommender systems and tried to connect people. He received his B.S from Bilkent University and M.Sc from New York University focusing signal processing and machine learning.